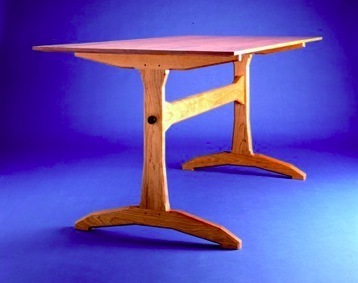 This table was inspired by the trestle tables made by the Shakers. I build these in just about any size and in any wood species available (cherry, walnut, maple, both curly and birds-eye, butternut, and ash) to comport to your needs or environment. Give me a call to discuss specific requirements.